Please provide us with your ATF serial number while placing an order. As soon as credits deposited on your account, we will send you an email. 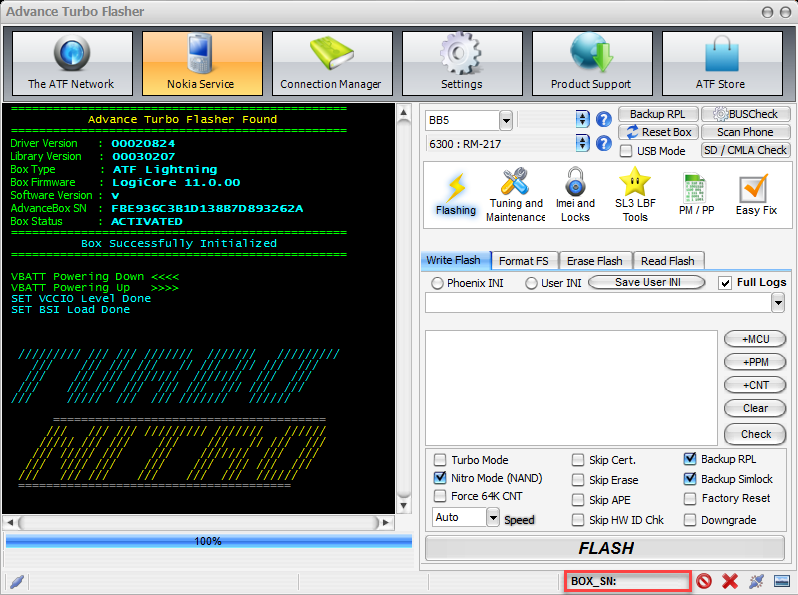 In Advance Turbo Flasher Activation window, under Nokia Service tab, select "ATF Plus" from drop-down menu. Choose JTAG tab and hit "Activate JTAG" button. Note that this activation requires 39 ATF JTAG credits. Message "JTAG Activation Done" indicates that procedure was completed successfully. To read more detailed manual with pictures, please follow this link. Please note that you need to provide your Advance Turbo Flasher Box serial number (24 digits) while placing an order. Also please be informed that the version of ATF Box firmware should be 10.3.70 or higher.